I'm absolutely honored to be interviewed and have my commercial photography featured on the February 2018 cover of Photoshop User Magazine! I've had my work featured on magazine covers in the past, but this one is really special to me, because I've been an avid reader of this magazine for years. In fact, I remember picking up my first issue at Barnes and Noble nearly 12 years ago! 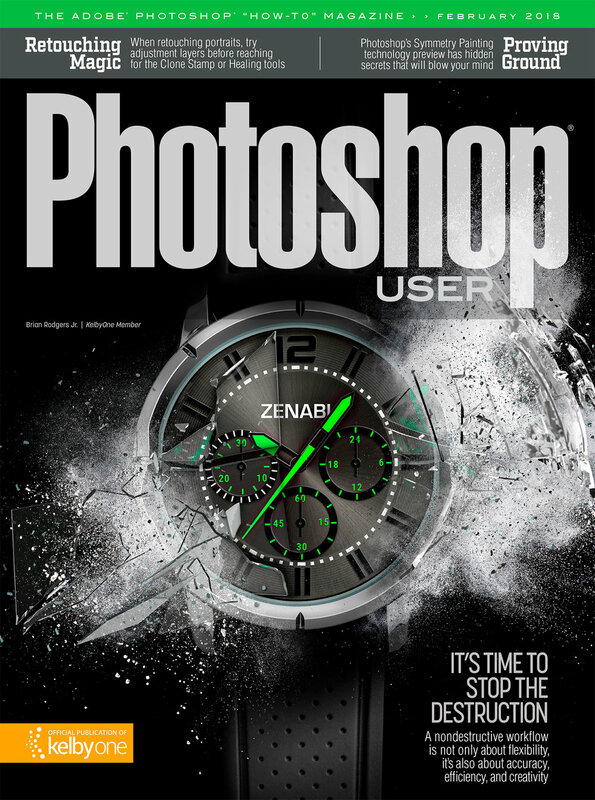 Check out an excerpt of my interview in Photoshop User Magazine right here!